There are some interesting slides here from December 2001 in relation to a DARPA program called; BioMagic, below are the slides and I have found the budgeting documents for the program(s) which I will post later that was authorised in June of 2001. The phrase I have been seeing is "little understood" in relation to these magnetic particles so I think that they are stretching more than a little there and I should imagine, if they have read the studies available, that it has dawned on them that it would be far from straightforward and the unintended conseqences could be catastrophic. If they're looking at better guidance systems, and they always are, I think they're barking up the wrong tree, plenty of much better options, speed isn't everything always. Well this is back in 2001...I am currently following this and subsequent programs since that time to try and plot where the program went and how it evolved and how far along they got and where those applications went from that point to today. In terms of the "magnetic particles" - I agree its experimental at best at what I have looked at so far (2001). The EMF effects on the brain and the whole DARPA programs/projects at looking into the whole Human-Brain interface are very interesting to continue researching even if these particles play little to no part in this. Synthetic Biology has been an emerging field over the last few years and its implications are quite frankly terrifying. A number of key focus areas have been identified including: multidisciplinary programs in BioComputational Systems; Simulation of Bio-Molecular Microsystems; Bio Futures; Biological Adaptation; Assembly and Manufacture; and Nanostructure in Biology. A component these programs offer will be the identification, development and demonstration of new mathematical algorithms that enable the representation of biological systems and the identification of the emergence of biologically inspired algorithms for these complex, non-linear problems. The Simulation of Bio-Molecular Microsystems (SIMBIOSYS) program will focus on methods to dramatically improve the interaction and integration of biological elements with synthetic materials in the context of microsystems. SIMBIOSYS will explore fundamental properties and compatibility of biological elements at surfaces through experimental and theoretical analyses. Key phenomena to be studied include molecular recognition processes, signal transduction phenomena, and micro- and nano-scale transport of biological molecules. Engineering of biological systems may be used to manipulate these fundamental characteristics and optimize the integration of biological elements with synthetic materials for information collection. The Nanostructure in Biology program will investigate the nanostructure properties of biological materials in order to better understand their behavior and thereby accelerate their exploitation for Defense applications. The tools and approaches developed under this program will have a significant impact in a variety of critical, non-biological Defense technologies that rely on phenomena occurring at the nanoscale level. For example, The Molecular Observation, Spectroscopy, and Imaging using Cantilevers (MOSIAC) program will develop new instrumentation computational tools and algorithms for real-time atomic level resolution 3D static or dynamic imaging of molecules and nanostructures. This new information about biomolecules will provide important new leads for the development of threat countermeasures, biomolecular sensors and motors and molecular interventions to enhance and improve human performance. The Bio-Magnetics Interfacing Concepts (Bio-MagIC) program will explore nano-scale magnetism as a novel transduction mechanism for the detection, manipulation and actuation of biological function in cells and single molecules. The core technologies to be developed will focus on the many technical challenges that must be addressed in order to integrate nano-scale magnetism with biology at the cellular and molecular level, and to ultimately detect and manipulate magnetically ‘tagged” bio-molecules and cells. These programs will present unprecedented new opportunities to exploit a wide range of bio-functionality for a number of DoD applications including chemical and biological sensing, diagnostics and therapeutics. Dowsers have been doing that for a long time. "Objective. 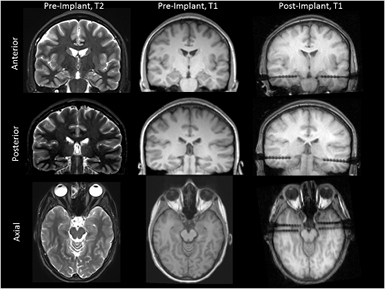 We demonstrate here the first successful implementation in humans of a proof-of-concept system for restoring and improving memory function via facilitation of memory encoding using the patient's own hippocampal spatiotemporal neural codes for memory. Memory in humans is subject to disruption by drugs, disease and brain injury, yet previous attempts to restore or rescue memory function in humans typically involved only nonspecific, modulation of brain areas and neural systems related to memory retrieval." The difficulty for me is that the research that is getting the most traction are those that attract defense funding, therefore the field is skewed out of all shape, veering towards utter pointlessness because the US defense budget is so huge and that is being exploited by money driven science adding neither useful conclusions or indeed any insight into wider implications. Meanwhile, those making truly ground-breaking discoveries on a micro scale, such as Persinger, are being marginalised and are suffering from the lack of funds to expand his group's work. It would appear to me, that without a fuller understanding of the role that magnetite plays physiologically, or indeed without knowing how magnetite that enters our systems from outside reacts with or contrary to that which is synthesised, that such research is essentially little more than masturbatory exercises to line pockets and any potential such research may have on gaining the edge over enemies is emphasised in order to get more money to expand the circle jerk.